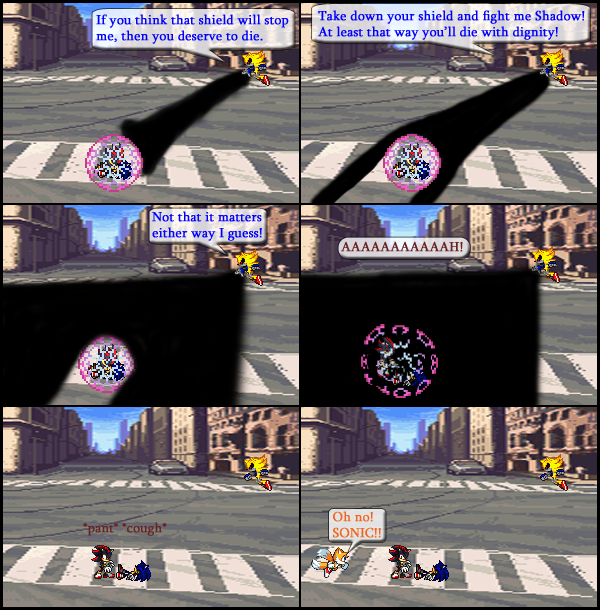 I have decided to make this the last Metal Sonic TPoA comic to be uploaded on this site. It kind of clashes with the overall theme of the site and the readers never seemed to be that into it. It’s not being discontinued though, the series will continue over at Smackjeeves.